A $400 budget for a standing desk is an excellent budget to have. With this budget point, you have quite a few different options you can go with. Not only are there some excellent desk converters that fall in this price range but you can also find some full standing desks that still fall within this budget. So with $400 to spend this really is the cutoff where you can start going with some top of the line options and still be under budget. Just a Standing Desk for $400? Or Accessories too? With this spending limit, if you want to go ahead and add some accessories to go with your standing desk you could do that too. A few options could be to add a monitor arm, a standing mat, or even some wire management to go with your standing desk. You can accomplish all of that for $400 if you want to. Or you can of course just go with a top of the line standing desk. It is completely up to you. The one thing I would highly consider is an articulating computer monitor arm as these can help give you a smooth transition from sitting to standing as your monitor height probably won’t be the same when you change. 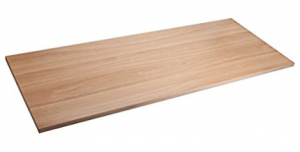 With this budget, you can get an excellent desk converter and then add this to it if you want. Or you can always just consider this later on down the line. Should You Invest in a Standing Desk? Depending on your financial situation, $400 can be a lot of money to chalk up to a standing desk. You definitely want to make sure that you are getting your money’s worth. Spending $400 in the grand scheme of things doesn’t sound like a bad investment to me, especially if you are someone that works an office job where you tend to sit all day long then reducing the amount of time sitting should be a priority. With that being said, why don’t we get on with options you can go with? There are just so many different directions you can go with this budget. A lot of the top desk converters go for just under $400 making this an excellent budget to have. But not only that, you are now even at the point where you could start looking at getting a full electric standing desk if that is something you prefer. The point is, you now have options you wouldn’t have at a lower budget. Let’s get on with it. This is probably my favorite electric standing desk converter, and fortunately, it goes for less than $400. This desk converter is great for tall people, holds more weight than just about any other desk converter (80 pounds), and also comes with a lifetime warranty. You don’t tend to find a lifetime warranty on just about any other standing desk, regardless of the price. So this says a lot about what you are getting for the price you are paying. 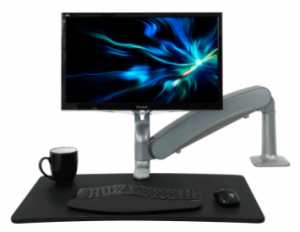 If you would prefer ease of adjustment over the speed of adjustment you would get with a manually adjustable desk then this may be the best option for you, especially at this budget point. If you want to save some desk space and want something that is super easy to adjust, then the Cadence Express is an excellent desk that usually goes for around $379. It is made by iMovR who is one of the leading industry innovators. They tend to sell top of the line standing desks, most of which fall out of this price range. But the Cadence Express and the ZipLift (mentioned above) made by them falls under $400, and they are still excellent products. In fact, the original Cadence made by them goes for over $500, and depending on what you are looking for, may not be any better than this item. Update-the original Cadence is now going for $399 on their official website. Being able to get either Cadence desk for less than $400 feels like a steal. This desk is a lot like the Ergotech Freedom Desk, you may want to consider that one too if you like this model as it is more affordable and of course that would leave you some spending money for a monitor arm. 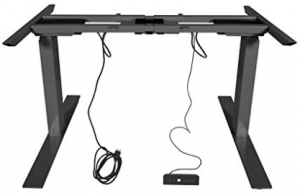 But, Ergotron has an excellent track record with standing desks and this one is no exception as it is a top notch converter. I really like this desk and fortunately, it is just under your $400 budget. Lately, it has been hovering around the $360 mark giving you some extra spending money. That is for there 35″ model, if you can up your budget about $20 then their 37.5″ model (the Ergotron TL) goes for about $420 or so. Both of these are terrific standing desks and will last a long time, they even have 5-year warranties to back them up. Now this is a terrific standing desk and even rivals desk converters that cost $100 more. It is one of/if not the tallest Z-type desk converters you can find. This right off the bat makes it better for some people than its more expensive competitors. It also is quality in all other specs as well as it sturdy, is built well, and also looks aesthetically pleasing with its bamboo top. Overall, you can’t go wrong with this option. The great thing is you don’t even have to get it on sale, the base price for this item is $325, making it one of the best purchases you can make for under $400 because you’ll even save some money. Of course, if you want, you can always add a standing desk mat and still be under budget. 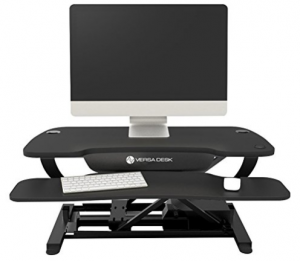 The Varidesk Pro Plus 36 is one of the most popular selling standing desks. 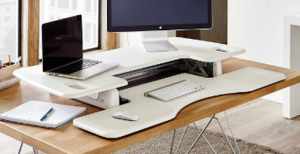 Of course, when you think about standing desks Varidesk is one of the first things that comes to mind. And because of that, they have barely changed their price on this model for years. It goes for just under $400 but still makes this list because of their solid track record. Now, just to be clear, there are of course cheaper options, but this is a fair price to come away with the standing desk that started it all. And the Pro Plus 36 is really all-around one of the best standing desks they have made. 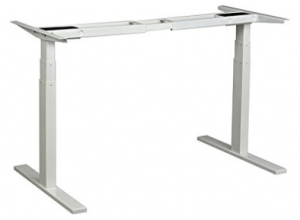 The Ergopose Epo desk frame is one of the most affordable full standing desks you can find. Yes, there are some other crank desks and what not for less but those are annoying. Oh, and not to mention, even though it’s cheaper the specs on it are still top notch. It adjusts fast, holds up to 350 pounds, and comes with a 5-year warranty so you know you’re not just buying a cheap frame that will break down after less than a year. This desk simply matches a lot of desks that cost hundreds more and yet you can find it in the mid $300 range! The downside to this desk is that they are a newer company and may not always be in stock. Also, their tabletops are a little costly, but of course, you’re too savvy for that. 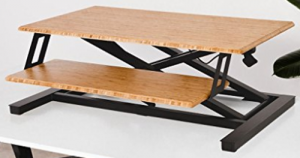 So going with the Lorell Quadro Tabletop, which usually costs less than $70 keeps your overall purchase right around $400. Just at your budget point. This is probably the most affordable dual motor electric standing desk that you can possibly find. It has been going for about $349. Now if you just go with the Titan desktop that they offer with the standing desk, you’ll be looking at an additional $77 which puts you slightly over budget. But hell, if your budget is $400 I would probably just up it a bit and go with their desktop. But for the sake of keeping this on point and under budget, you could go with the IKEA Linnmon 78 table top which goes for $45.99. This keeps you just under budget. As a disclaimer, they say that their a6 desktop is the only desktop that fits this desk. If you’re just drilling into wood though this wouldn’t matter though and you could use other desktops, they just won’t have preset holes. This, like the Ergopose listed above, is another great affordable electric full desk, but may not be in stock. The more affordable these desks are the more likely they tend to be out of stock. There are a ton of options you can go with, I gave you some of my favorites, but there are a few others that you may want to consider as well. Eureka Standing Desk: I really like this desk and it is usually on sale for less than $400. It is a newer item so the only thing in question would be its long-term stability. InMovement Desk Converter: This is another good option, it has a sleek look to it that may appeal to you. Victor DC350: This is a base and post style converter. Most of these tend to go over $500, not this option. Autonomous SmartDesk: This is usually marketed as the best desk under $300, however, after shipping you will at least be in the mid $300 range. A $400 budget is an excellent budget to have when looking for a standing desk. This is a popular price point for standing desks to go for. Hopefully, this saves you some time as I think these are the best options at this budget point. Is there anything else you would have included or anything that you have used you think is better? Let me know in the comments below!